A buyer’s initial perception of your home is very hard to erase. Improve your chances of securing a buyer, by placing yourself in their shoes. Cast a critical eye over your home, from roof-top to doorstep, and if possible, make those few cosmetic changes necessary to make your home more desirable. Remember, your goal is to maximise the attractiveness of your home, not entirely redo it, but below are some simple but important tips to enhance the saleability of your property, both inside and out. Creating “kerb appeal” increases the number of potential buyers visiting your house and can add Euros to the final selling price. Maintaining the exterior of your home is a very important part of showcasing your home altogether. Always remember that it is the first thing a potential home buyer will see from their car and the deciding factor as to whether or not they wish to see more. Most people make up their minds within the first 30 seconds of seeing a property whether they like it or not. A freshly painted front door is a good place to start. It is the first part of the home that potential buyers will be directly exposed to up close. Polish the door fixtures and repaint the door if necessary. Make sure the lock and key to your front door work smoothly and the door opens and closes easily. Check your windows are clean and window frames touched up. Peeling paint on a window suggests that work needs to be done on the property. If you have a garden, ensure that it is as neat and tidy as the inside of the house. Keep the lawn neatly groomed, flowers and plants neatly pruned and flower beds mulched and free from weeds. Does your driveway require power hosing, weeding or gravel replenished? Check that the roof is free and clear from obstructions and moss, and that all fascias and soffits are clean, clear and securely hung. Is the exterior render in need of power washing or is a touch up to the paint required? Check that all gates and garage/outhouse doors are secure and their hinges oiled. 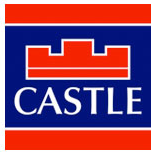 A FOR SALE sign, with the distinctive CASTLE logo, positioned for maximum visibility outside your home, is the surest signal to a buyer that you treat your property’s value seriously and care about every aspect of how it is presented and perceived. Your aim is to ensure that as the first buyer walks in your door, they are engaged and encouraged to venture further inside. Each and every room should be welcoming and inviting, allowing prospective new owners to imagine themselves living there. Keep your hall and porch tidy. A confident buyer sweeps into a room. An unconvinced buyer has had to sweep through mountains of junk mail in the hall just to get in. Air out the property prior to viewings. Air in, damp smells out; open a window to ventilate the house, make use of ‘plug-ins’, scented candles or fresh flowers for a fresh scent, and if necessary to spray air freshener. Use well in advance so as not to overpower prospective purchasers. Open curtains and blinds for more light and while you’re at it, make sure windows are washed and curtains and blinds are clean and hung properly. In Summer, natural light can create a wonderful atmosphere and give a feeling of freshness and cleanliness. So, draw back those curtains and open those windows. In Winter, make sure all the light bulbs are working and have lights on during the day time. If you have a fireplace, have a fire blazing. Hearths can move hearts. Ensure that all carpets and floor surfaces are clean, free from stains and ideally polished if hard surfaces. Fresh paint and wallpaper. Are there any colours, objects or children’s art on the walls that need to be removed? Remember you have decorated your home to suit your style and taste. This style may not appeal to everyone so the best thing to do to make your home appeal to the widest range of buyers is to neutralize it. Paint walls in a neutral colour and show off any original features. This will enable buyers to visualize their furniture in your home. Check your ceilings for water stains. To a nervous first-time buyer, a damp stain caused by a minor past leakage suggests an impending flood; get it fixed and painted over. Make sure your bathrooms and kitchen are gleaming (these are probably the most important rooms in the house). Touch up any scuff’s on the walls with paint. Make sure counter-tops are free and clear. Check and clean the appliances. When clearing up and de-cluttering, try not to stuff items into the attic or the garage. Savvy buyers will be eager to view these areas to assess the available storage space in the house. Serious buyers will look at everything in detail. While your buyer may be a pet lover too, you should still be sure to clean and remove litters, toys, bedding etc. Following even a few of the tips above, will help to ensure that your home is presented in it’s best light, but remember the most important tip when looking to maximise the value of your home; call your local CASTLE agent. A member of our Residential Sales Team would be delighted to visit your home and provide you with a free accurate market appraisal and free practical advice about enhancing the sales value of your property.